Doctor Who was first broadcast by BBC Television at 5.16pm on Saturday 23 November 1963. This weekend the BBC marks the fiftieth anniversary with several commemorative programmes on television, radio, and online—as well as a ‘global simulcast’ of the anniversary adventure, which places the two actors who’ve most recently played ‘the Doctor’ (David Tennant, the tenth, and Matt Smith, the eleventh) alongside a previously unknown incarnation of the character, played by John Hurt. As befits so famous a time-traveller, the anniversary is also an opportunity to look back at the origins of the series, and to some of those responsible, for what has since become a worldwide phenomenon. Doctor Who had no single series creator, and its format arose from the convergence of several responses to competing demands at the BBC. Principal among these was the need for BBC Television to compete more effectively with its new rival, ITV, whose programmes had quickly come to dominate British viewing habits. In the early 1960s the BBC’s Saturday schedule was reasonably strong; its afternoon sports programme Grandstand was popular, as was its early evening pop music show Juke Box Jury. But between them was a gap typically filled by programmes from the BBC children’s department, including adaptations of literary classics or imported cartoons which failed to retain enough of the Grandstand audience. During 1963 the children’s department was wound down, with different genres of programmes transferred to their respective ‘adult’ departments. It was the BBC’s drama group which would now be responsible for a new ‘Saturday afternoon serial’. The drama group itself was a creation of 1963. Sydney Newman had joined BBC Television that year from one of the ITV contractors, ABC, as head of drama; his brief was to expand the amount of drama produced—a second network, BBC2, was to launch in April 1964—as well as refashion the BBC’s output to contain more of the ‘agitational contemporaneity’ which had characterized Newman’s work at ABC. Newman’s earlier productions had also included science-fiction adventure serials for Sunday afternoons, and it was not surprising that he turned to this genre when confronting the BBC’s Saturday afternoon problem. There were precedents inside the Corporation: mid-evening science fiction serials had enjoyed wildly varying success, and in 1962 a report by the BBC script unit had considered the future of science fiction on BBC Television, assessing most of the literary field as too philosophical or technology-focused for the mass television audience. Newman appointed Donald Wilson as his first head of serials, and gave him the brief of drafting a new programme. Wilson and his staff writer C.E. Webber devised an overarching format for contemporary science-fiction stories which would feature a ‘handsome young man hero’ and ‘handsome well-dressed heroine aged about 30’ to attract children and women, and a ‘maturer man … with some character twist’. While Newman’s annotations on the format document expressed scepticism (particularly regarding the absence of a child protagonist), much in this document—including its understanding of science fiction as an area where ‘the wonder or fairy tale element shall be given a scientific or technical explanation’—made it into Doctor Who. Sydney Newman now worked directly with Wilson and Webber to revise the format in line with the experiences of the BBC’s target audience. The series was explicitly thought of as a series of serials, to run for 52 weeks of the year. As well as adding Newman’s child protagonist and making the hero and heroine into two of her schoolteachers, this redrafting turned the ‘maturer man’ into ‘a frail old man lost in space and time’, of unknown origin and identity but possessed of a ‘machine’ which enabled the characters to ‘travel together through time, through space, and through matter’. This character was dubbed ‘DR. WHO’, the title given to the proposed series. At Newman’s instigation further changes were made to the Doctor to make the character less reactionary and more obviously a source of scientific solutions to problems. The series was to be consciously educational with adventures divided between the headings of ‘past’ (stories set in human history where the regulars would be caught up in a historical event or culture), ‘future’ (intended to emphasise scientific progress), and ‘sideways’ (including changes of size or parallel worlds). As heads of the drama group and serials department, Newman and Wilson could not take the series further in detail. After offers to some existing BBC staff members including Don Taylor, Newman brought Verity Lambert over from ABC as the new series’ producer. This was a significant promotion for Lambert. Though nominally only a production assistant at ABC, she had there stepped in for directors and understood how to motivate and manage actors and crew within the limitations of studio television. Although women had produced in other areas of BBC television, she was the first to hold this role in drama. By the time Lambert arrived, the scripts for the first serial had been commissioned from Anthony Coburn, an Australian writer who decided that Newman’s child protagonist should be the Doctor’s granddaughter. Coburn also suggested that the Doctor’s potentially budget-absorbing extra-dimensional spacecraft should have the external shape of a police telephone box and named it the ‘Tardis’—an acronym for Time And Relative Dimension In Space. Lambert cast the actor William Hartnell as the aged time-and-space traveller, ‘Dr. Who’ himself. An initially harsh and coldly manipulative interpretation of the character changed in production to a warmer and more mischievous one. The transformation took many months and there was a marked change between the initial recording of the first episode (rejected by Newman and not broadcast until 1991) and the revised one transmitted on 23 November 1963. One of Lambert’s other astute decisions concerned the determinedly avant garde title sequence and music. The title sequence came first, devised by Bernard Lodge and formed of cloud-like patterns derived from a film recording of visual feedback caused by a television camera recording the image from its own monitor. Lambert then approached the BBC’s experimental sound engineering unit, the Radiophonic Workshop, and the prolific freelance composer Ron Grainer, who had collaborated with the Workshop on a documentary soundtrack earlier in the year. In this case Grainer’s score would be entirely realized by the Workshop’s Delia Derbyshire, using tape loops of electronically-generated sound played back at different speeds. The impact of the Derbyshire-engineered theme led to the popular association of Doctor Who with electronic music, though for much of the 1960s and 1970s the incidental music scores were composed for and performed with conventional instruments. Among the composers who contributed to the early years of Doctor Who were such prominent figures as Richard Rodney Bennett and Humphrey Searle. The Doctor’s first broadcast adventure was set in the Stone Age and concerned the secret of fire. It was followed by the first ‘future’ story. This seven-episode serial established Doctor Who’s popular appeal, drawing on fears of the Second World War (not two decades past) and apprehensions of a nuclear future, embodied in the villains, the Daleks, who made their first appearance (bar one extended sucker-ended ‘arm’ the week before) on 28 December 1963. Shrivelled mutants dwelling in armoured shells with mechanical voices (again the work of the Radiophonic Workshop), the Daleks were disturbing to children and adults alike. The Daleks and their world were realized by designer Raymond Cusick and mounted against an unsettling electronic score by Tristram Cary. The story was written by Terry Nation, who had not been involved in the planning of Doctor Who but now became the writer most closely associated with the series. His sinister creations were the focus of cinema adaptations of their first two serials, starring Peter Cushing as an explicitly Earthly Doctor. Lifted by the appeal of the Daleks and other futuristic terrors, Doctor Who was established as a favourite of the family audience and BBC management alike. Huw Wheldon, controller of programmes of BBC Television from 1965 to 1968, reportedly declared that the four greatest achievements of television were Gilbert Harding, Maigret, Quatermass, and the Daleks. Of the four, only the latter endure in the wider British public consciousness today. Doctor Who’s format was an evolving one. Adventures set in the past featuring no interventions from inhuman other-worlders (an important part of Sydney Newman’s original requirements) became less frequent and disappeared in 1967. The three categories of story overlapped, with ‘sideways’ being subsumed into ‘future’ and a present-day element also emerging. Increasingly magpie-like, Doctor Who picked from a yet wider variety of genres, from military action to horror to detective fiction and political satire, though usually cloaked in science fiction and fantasy tropes. In 1966 the programme’s third producer, Innes Lloyd, decided to replace William Hartnell with Patrick Troughton as a ‘renewed’ Doctor, physically younger and with a less irascible, more clownish personality. 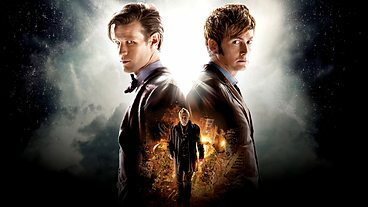 The ability to substitute a departing lead with a different actor, playing the same character but with a distinctive physical appearance and manner, became part of Doctor Who’s endurance mechanism. Later Doctors were played by Jon Pertwee, Tom Baker, Peter Davison, Colin Baker, and Sylvester McCoy until the series, out of favour with management and unable to move on to new production methods, was rested in 1989. Paul McGann took over the role for a TV Movie in 1996, a co-production between BBC Worldwide with Universal Television in the USA, before it once more became a successful BBC1 series (now largely made of standalone episodes rather than serials) in 2005, starring Christopher Eccleston. He was succeeded in turn by David Tennant and Matt Smith. Smith is to be replaced by Peter Capaldi at the end of the Christmas 2013 episode. Writing careers have also been shaped by Doctor Who. One of the script editors from the late 1970s was Douglas Adams, on whose imagination and published writing the series was a recognizable influence. Among the generation of established writers who’ve contributed to the twenty-first century series—first led by Russell T. Davies and subsequently by Steven Moffat—was Neil Gaiman. On both sides of the Atlantic, Gaiman’s work, spanning comics, novels, computer games, cinema, and television, is a very recent example of the opportunities for cross-platform storytelling—an approach long since adopted by earlier creators and producers associated with Doctor Who. At its inception in November 1963 Doctor Who was addressed to a specific audience of eight-to-fourteen-year-olds watching as part of a family group on Saturday afternoons. Today it has a worldwide general audience of all ages, claiming over 77 million viewers in the UK, Australia, and United States, as well as a large devoted core sustaining the sales of DVDs, books, audio plays, magazines, and memorabilia. Equally striking is the breadth of the programme’s appeal: search Who’s Who and you’ll find an Anglican archdeacon and a circuit judge who list ‘watching the Doctor’ as one of their recreations—as well as many others with professional links to the programme. When Donald Wilson assured the editor of Radio Times in 1963 that the programme would ‘run and run’, it’s doubtful he was looking fifty years ahead. But those responsible for the series in 2013 are already speculating cheerily about the programme’s centenary in 2063. Few would be confident in dismissing their optimism. Dr Matthew Kilburn is an associate research editor of the Oxford Dictionary of National Biography. He has written on the treatment of history in Doctor Who for Andrew O’Day ed., Doctor Who: the Eleventh Hour, (2013) and David Butler ed., Time and Relative Dissertations in Space (2007), as well as magazine articles and production notes to two Doctor Who DVD releases. The Oxford Dictionary of National Biography is the national record of men and women who have shaped British history and culture, worldwide, from the Romans to the 21st century. 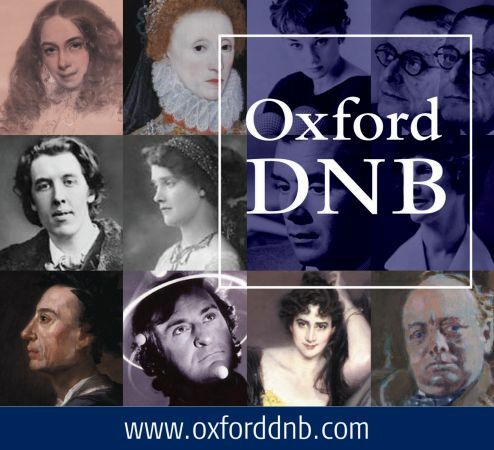 In addition to 58,700 life stories, the ODNB offers a free, twice monthly biography podcast with over 190 life stories now available. You can also sign up for Life of the Day, a topical biography delivered to your inbox, or follow @odnb on Twitter for people in the news. The Oxford DNB is freely available via public libraries across the UK. Libraries offer ‘remote access’ allowing members to log-on to the complete dictionary, for free, from home (or any other computer) twenty-four hours a day. Image credits: (1) “The Doctor Who 50th Anniversary Special” ©BBC via bbc.co.uk. Used for the purposes of illustration. 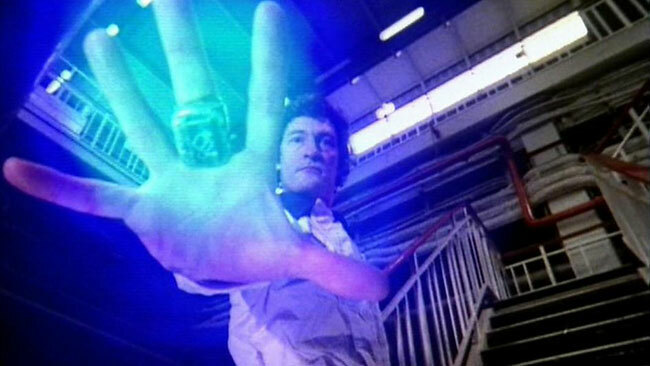 (2) “Doctor Who, Still from ‘The Hand of Fear: Part 2′” ©BBC via bbc.co.uk. Used for the purposes of illustration. 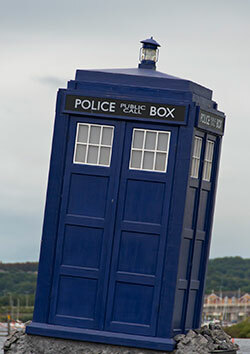 (3) “The Doctor Who TARDIS” (Doctor Who Experience) By Steve Collis from Melbourne, Australia. 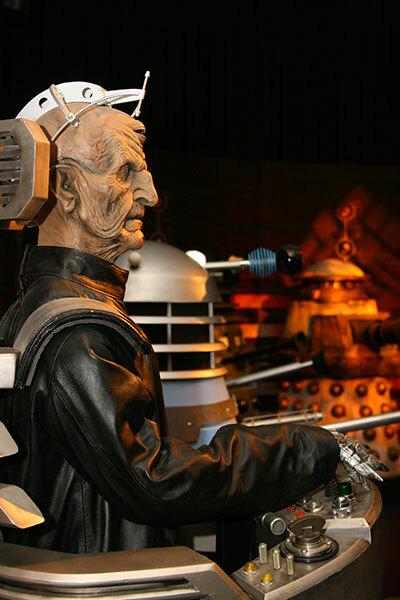 CC-BY-2.0 via Wikimedia Commons (4) “Davros and Daleks from Doctor Who” By Wer-Al Zwowe. Creative Commons CC0 1.0 Universal Public Domain Dedication via Wikimedia Commons.